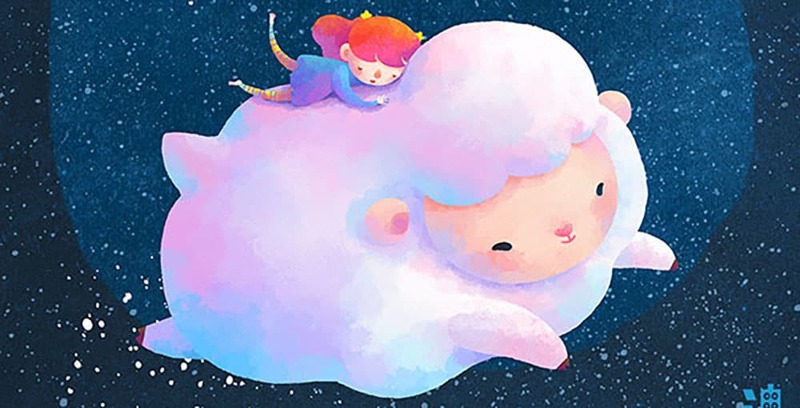 A reassuring song of tranquility, Sleep, Baby, Sleep, promises sweet dreams of fluffy sheep. Here are the lullaby lyrics for this German lullaby, known as Schlaf, Kindlein, Schlaf. German lullabies are also known as ‘cradle songs’, or wiegenlieds, which is often simply translated to lullaby in English. Both Brahms and Wagner incorporated this melody into their compositions. 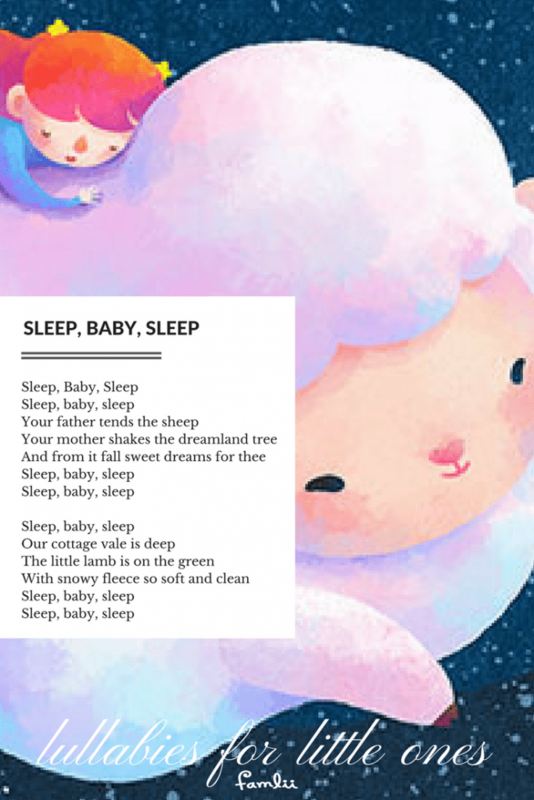 Click to download a pdf printable of Sleep Baby Sleep Lyrics. The first verse of the song was written in 1611 by a little-known songwriter, Ferdinand Buermeyer. Numerous versions and additional verses were added in children’s song books and hymnals over the years. The melody for the cradle song was written over two hundred years later, in 1876, by a German singing teacher, Louise Reichardt, whose father Johann Friedrich Reichardt, was a composer of numerous operas. Her father is often erroneously credited for her work. A rather eclectic rendition — for the non-sleepy, Nintendo-set listener — is a German version of the song performed by the heavy metal band, We Butter Bread with Butter, in 2008.